Easy to make salsa verde with avocado salsa verde option. Just roast tomatillos and jalapenos and blend with a few ingredients to make the perfect salsa verde. Out of any salsa variations, salsa verde is my absolute favorite! There is just something about the winning combination of the tanginess from the tomatillos to the fresh hints of lime and cilantro that really butters my biscuits! 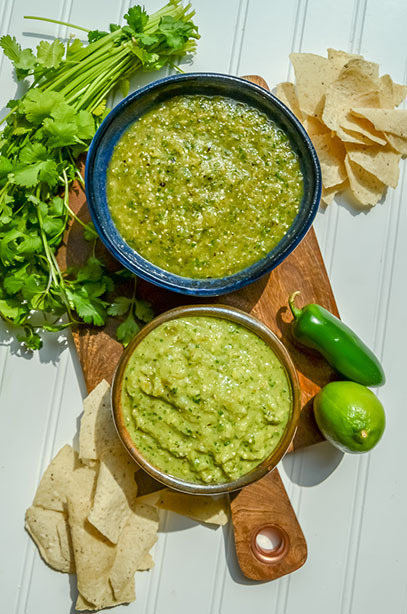 Unfortunately, most restaurants and grocery stores do not provide a cleaner version of salsa verde -- they’re usually filled with high amounts of sodium and preservatives. That is why I created this guilt-free salsa verde so I can continue eating as much salsa as my heart desires! This is a recipe that relies heavily on fresh produce, and, especially, in this case, fresh tomatillos. 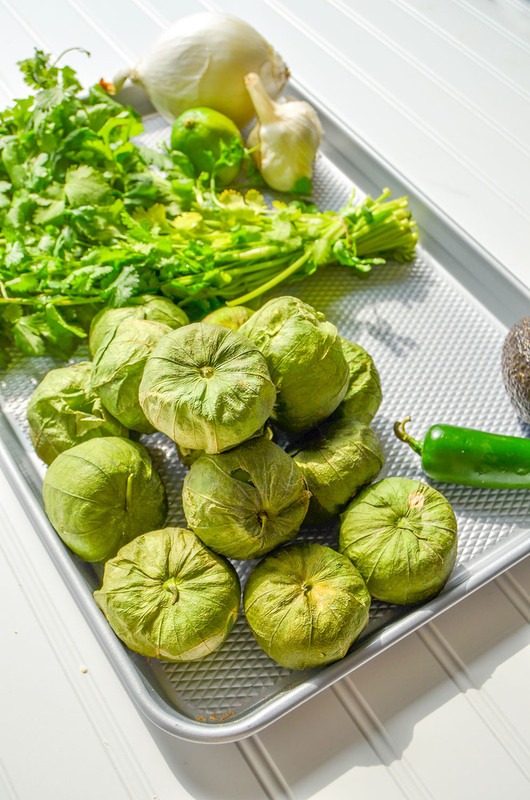 For tomatillos, it can be hard sometimes to distinguish the good from the bad because a tomatillo is wrapped in a papery husk. When you are choosing, look for small, firm tomatillos with tight-fitting husks. Inside that papery husk is a bright green fruit with a fresh, almost citrusy flavor! The tartness can be a little overwhelming, so for this recipe, it is best to roast them. 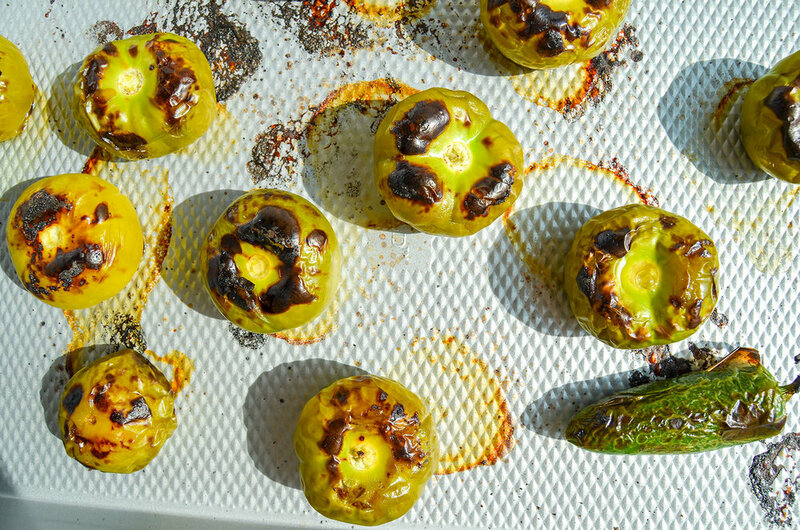 Roasting the tomatillos will bring a smoky and sweet flavor to the salsa, pairing perfectly with the garlic and cilantro. Salsa verde obviously goes well with chips, but you can definitely (and should!) get creative with adding salsa to other food! Verde salsa goes well with anything classic red salsa would go with, so think morning eggs, burritos, or my sweet potato hash breakfast skillet recipe. Here’s another suggestion - you can make this salsa verde creamy using avocados. Sometimes when I meal prep, I’ll make both versions of the salsa because I like having options! Simply add one avocado to the blender, which will give the salsa a wonderful richness in addition to the creamy texture. Check out the recipe below! Let them cool and add to a processor along with the onion, cilantro, garlic, lime, and salt. (If you are wanting less spicy salsa, take the seeds out of the jalapeno first). Blend until smooth but slightly chunky consistency. Season to taste with additional S&P and/or lime juice. 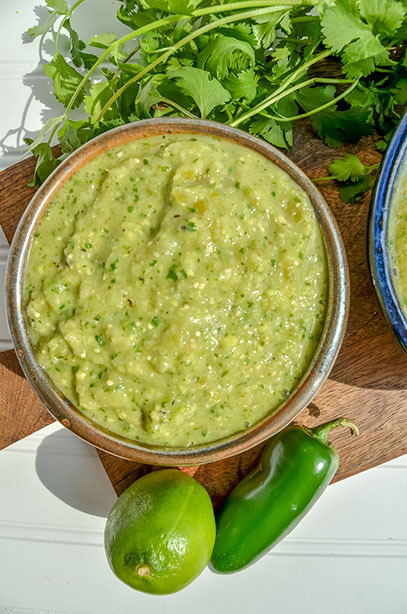 Avocado verde salsa - In the processor, add 1 ripe avocado and blend until desired consistency. The salsa may appear thin but will thicken after it has been chilled in the refrigerator. Tomatillos contain pectin which is a natural thickening agent. Store in the fridge for up to a week. If you are making this recipe with avocados, store in the fridge for up to three days. Both the verde salsa and avocado salsa freezes beautifully. Just add your cooled salsa batch to a freezer bag and freeze for up to one month. When you are ready to use the salsa, thaw in the refrigerator until ready to use!